My March entry will probably have a theme that is familiar to some who have chimed in on other posts of mine. 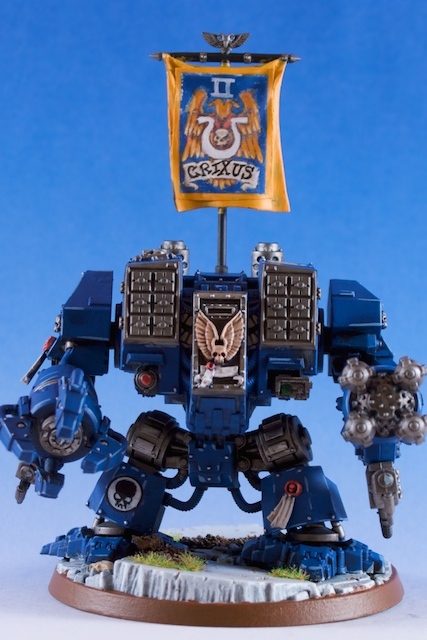 To no surprise, I bring you another Ironclad Dreadnought- Crixus, Champion Ironclad Dreadnought of the Second Company of the Ultramarines. Sorry, no WiP this month. With Adepticon coming soon, and I was asked to paint some stuff for the rest of the team, I started on this before I remembered to get some pictures. 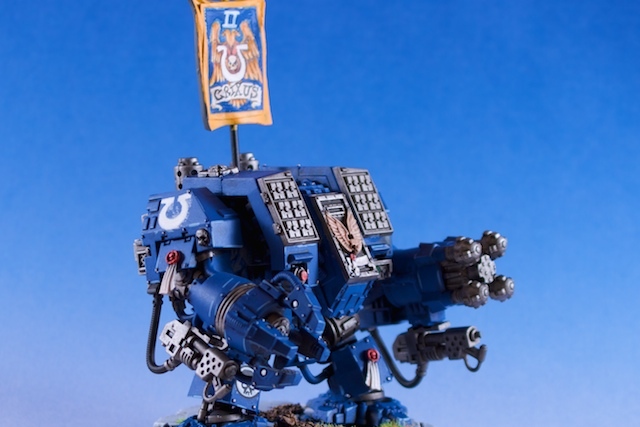 However, after doing another Ironclad, 4 dreadnought drop pods, objective markers, and getting my tactical squads ready for travel, one of my keys to success has already come to past- get plenty of sleep the week before the big con! A couple of my teammates have already confessed that they will be painting right up until the time of the event. Boo to that I say!